not to the exclusion of others but as a recognition of their specific policy needs. articulating an understanding of each group’s unique concerns instead of trying to create a false image of universality. a politics that respects and reflects the complicated nature of these identities and the ways in which they intersect. identity has been used to deny opportunity. Embracing the distinct histories and identities of groups in a democracy enhances the complexity and capacity of the whole. These parallel but distinct developments are inextricably bound together. amorphous, universal descriptors devoid of context or nuance. By embracing identity and its prickly, uncomfortable contours, Americans will become more likely to grow as one. 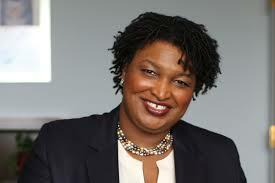 STACEY Y. ABRAMS served as Minority Leader of the Georgia House of Representatives from 2011 to 2017 and was the Democratic Party’s nominee in Georgia’s 2018 gubernatorial election. No Stacy, by ignoring the media’s pursuit of division and their relentless 24/7 regurgitation of the mistakes we’ve made in the past, combined with our embracing each other as human beings, regardless of color, religion or any other traits in which we identify ourselves, which we’ve slowly been able to accomplish over the years until Obama arrived in office…Americans will be more likely to CONTINUE to grow as one. And the last two years have proven it…regardless of every hate crime the media tries to swindle us with. Chuck, Do you believe that some white people at times still oppress some black people? Thanks for sharing this exchange. At the electoral level, sorting out this tension is the key to building a sustainable coalition that serves the goal of inclusion, recognizes the centrality of intersectionality and that serves the needs of the 99% and especially those at the lower end of economic society in the US. Well put. I like her both/and approach. Excellent points. See White Fragility: Why its so Hard for White People to Talk about Racism. Yes, I read that book and watched one of her lectures. I believe she makes many good points, but I believe Abrams threads the needle more precisely. If we want to have a positive impact, however, we need to be careful with our choice of words. In particular, the highly charged word “racist” is often inaccurate. And it can be counterproductive when it provokes defensive reactions that interfere with honest communication. “Racist” is a label that suggests a harsh judgment about the other’s essential character. Labels are dangerous. They tend to be global because they ignore other aspects of the person’s character. And they’re fixed because they declare that the other is unlikely to change. Declaring “we are all racists” is neither true nor productive. We can have racist tendencies and be prejudiced or biased without being a racist. A racist is someone who believes a particular race is inherently superior. When people say, “All African-American people are genetically inferior to whites,” it’s accurate to call them a racist. But unless they acknowledge that belief, there’s no need to use the word racist. Instead we can focus on specific actions and beliefs, talk about bias, and perhaps discuss how prejudice can reinforce systemic racism. One reason this issue is important is that the loose use of the term “racist” makes it easier for politicians to build power by complaining about “political correctness.” Yes, all whites have a white racial worldview, and at least most of us have unconscious biases. But it overstates the case to say that all whites are racists, as does Robin Diangelo, author of White Fragility: Why It’s So Hard For White People to Talk About Racism. More precise language would undercut the manipulations employed by power-hungry politicians.